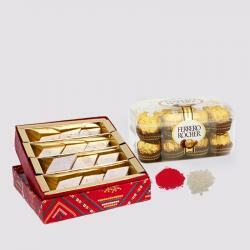 Product Consists : 500 Gms Asssorted Fresh Sweets in a Box, Cadbury Celebration Chocolate Pack (Weight : 140 Gms) and Free Roli Chawal. 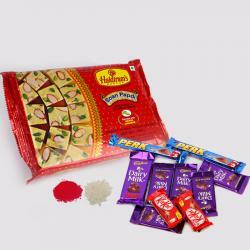 Give your brother a love token on this bhai dooj with this brilliant gift hamper. Let your adorable brother be surprised in a lovely way on this day. 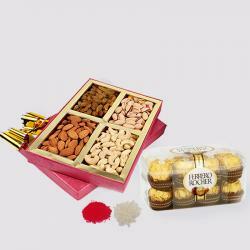 Show caring love for your dearly brother in a unique way as you present him this gift hamper on Bhai Dooj. 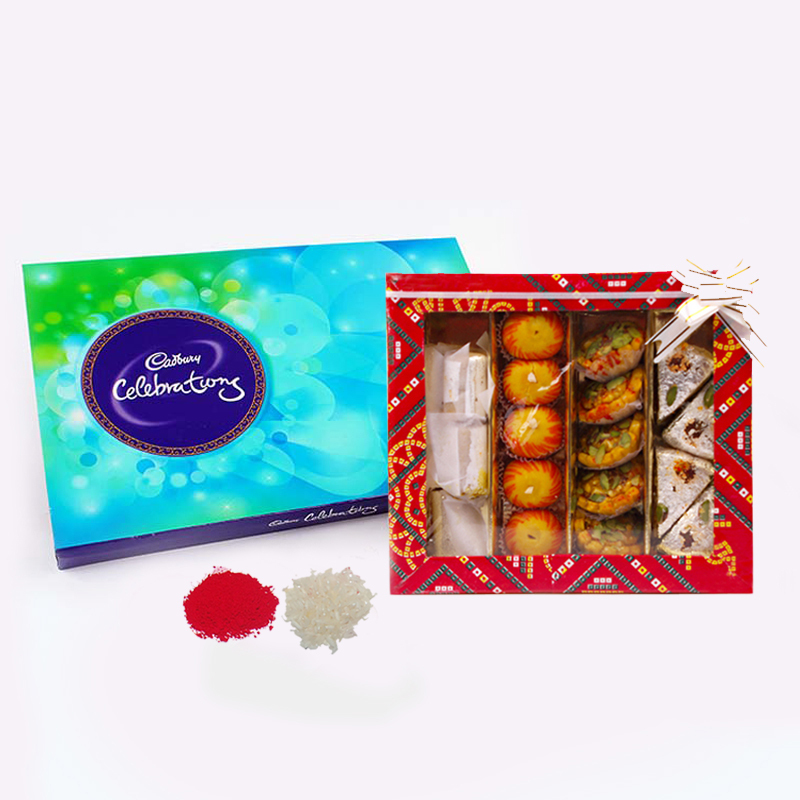 A perfect way to make the day extra special for him, this hamper comprises of Mix Kaju Sweets and Cadbuery Celebation Chocolate Boxa with traditional roli chawal is sure to make the auspicious occasion even more special for him. 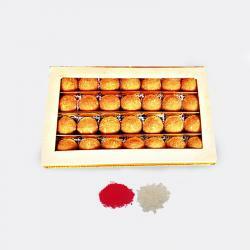 Product Consists : 500 Gms Asssorted Fresh Sweets in a Box, Cadbury Celebration Chocolate Pack (Weight : 140 Gms) and Free Roli Chawal.